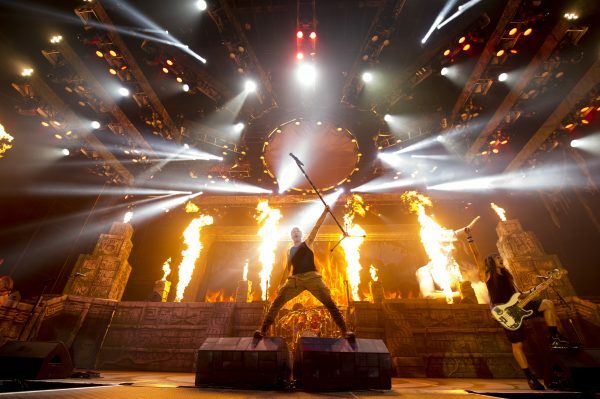 WIN PASSES FOR IRON MAIDEN IN SSE ARENA, BELFAST AND ‘BOOK OF SOULS; LIVE CHAPTER’ DELUXE CD! 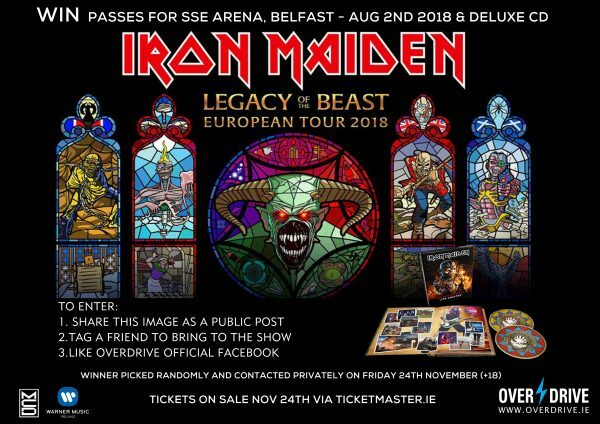 With the recent announcement of Iron Maiden’s ‘Legacy of the Beast’ European dates for Summer 2018, Overdrive collaborated with promoters MCD and Warner Music Ireland for a competition to win passes to the show and a deluxe version of ‘Book of Souls – Live Chapter’ (released November 17th). Find out how to enter below! How would you like to get your hands on a set of passes for Iron Maiden’s ‘Legacy of the Beast’ show in SSE Arena, Belfast on August 2nd, 2018? Not only will you get the passes but our friends over at Warner Music Ireland are throwing in a deluxe copy of ‘Book of Souls; Live Chapter‘ – released on November 17th – which features a live recording of ‘Wrathchild‘ taken from Maiden’s triumphant show in Dublin’s 3Arena back in May of this year. Overdrive will be selecting a winner on Friday, November 24th at 9 am. The winner will be chosen at random and contacted privately. All entries MUST be 18+ years old. 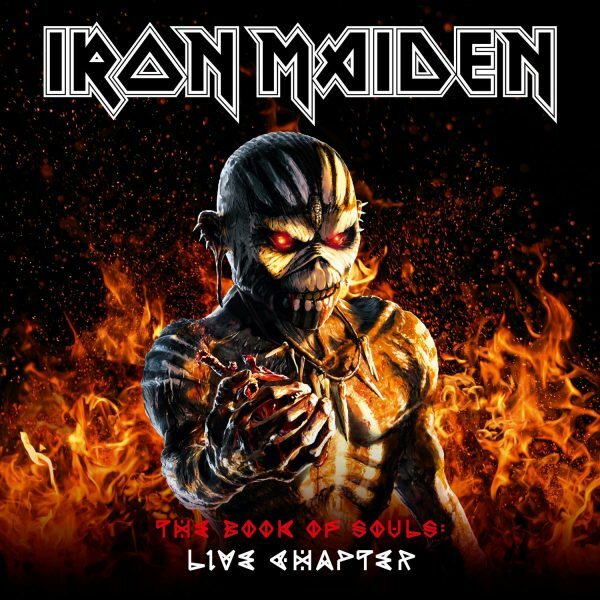 Warner Music will release IRON MAIDEN’s ‘The Book Of Souls: Live Chapter’ on November 17th worldwide [through BMG in the USA]. 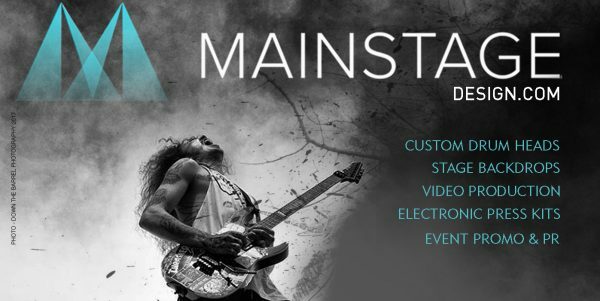 This live recording comprises 15 songs captured during ‘The Book Of Souls World Tour’, which covered 39 countries across six continents during 2016 and 2017, and was seen by over two million fans. ‘The Book Of Souls: Live Chapter’ will be released physically in CD, deluxe CD & vinyl audio formats, with the concert film available to stream free online or as a digital download – full details below. 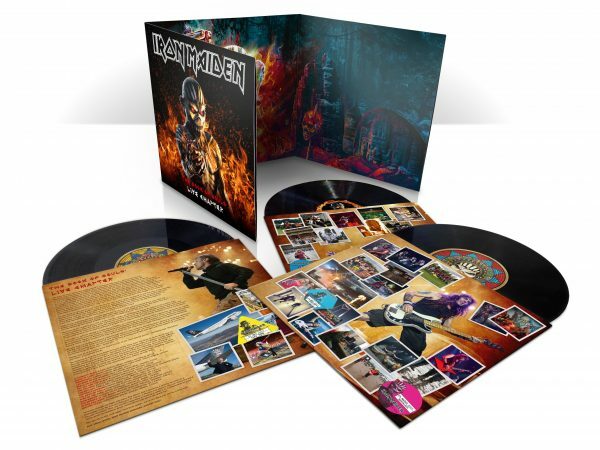 Produced by Tony Newton and Iron Maiden founder member and bass player Steve Harris, the album is based on this year’s setlist and is a faithful record of the epic show, including six songs from ‘The Book Of Souls’, the band’s most recent studio album, along with many other classics and fan favourites. 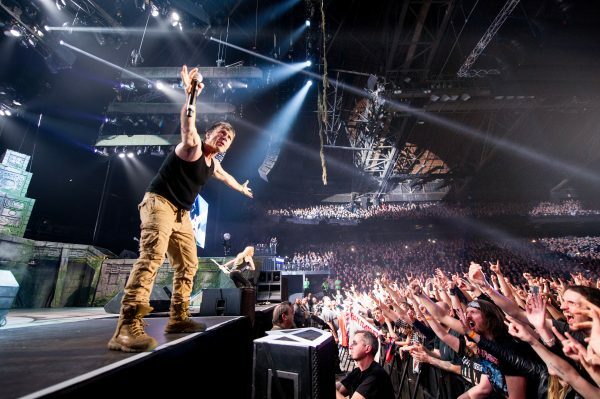 Maiden manager Rod Smallwood adds, “’The Book Of Souls World Tour’ was a huge undertaking, not least for Bruce who started the tour singing in public for the very first time since recovering from throat cancer. He also piloted Ed-Force One, upgraded last year from a Boeing 757 to a 747 so we could go further and faster to visit some fantastic cities and fans all around the world. This year continued that excitement bringing us our most successful North American and UK tours ever. It was a very special tour in a great many ways so we felt we wanted to document it for both ourselves and for our fans. Steve has done an incredible job putting together this set from cities around the world and we’ve made sure the deluxe CD will be available in a matching book format to ‘The Book of Souls’ release. The album will replicate ‘The Book Of Souls’ original formats and be issued as a limited edition deluxe 2 CD hard case Book, a regular 2CD album, a triple black vinyl LP, and digital download in high-resolution audio (48khz/24 bit) including Mastered for iTunes (MFiT) version. A digital download of the concert film will also be available to purchase following its free online premiere.